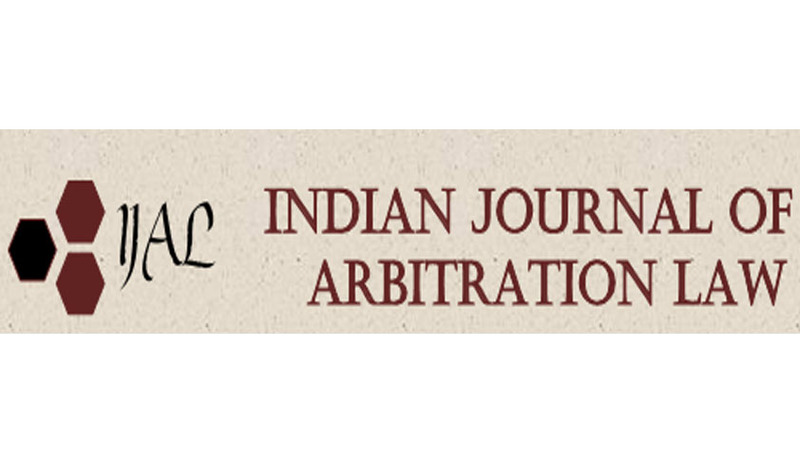 The Indian Journal of Arbitration Law has announced its upcoming issue (Volume 4: Issue 1), which is to be published in April, next year. The Indian Journal of Arbitration Law is a biannual, student reviewed Journal by the Centre for Advanced Research and Training in Arbitration Law of National Law University, Jodhpur. In this regard, the board would give due emphasis to the rich thought processes of students of law, who bring to the forefront the innovative academic research currently underway in most law schools all over the world. Inclusion of changing regional trends will play a vital part inunderstanding the scope and extant of this discipline and would therefore find due importance in the Journal. UNCITRAL Model Law’s 30th Anniversary. We also welcome notes on the 246th Law Commission Report. Note: Manuscripts must be accompanied by an abstract except in case of book reviews. As a convention, British English shall be followed. To facilitate our anonymous review process, please confine your name, affiliation, biographical information, and acknowledgments to a separate cover page. Please include the manuscript’s title on the first text page. In case the editors feel necessary, they may ask the authors to submit a hard copy of their manuscript, in addition to the electronic copy. Authors are requested to send the electronic version for their manuscripts to editor.cartal@gmail.com. The subject of the mail should be “Submission”. Mail your queries to ‘The Executive Editor’ at editor.cartal@gmail.com.